Knowing the facts about gourmet tea can be the first step towards brewing a comforting, intriguing cup of tea. In this interview, Bruce Richardson, a tea blender, internationally-recognized tea educator and owner of Elmwood Inn Fine Teas, shares his knowledge about the somewhat mystical world of tea. 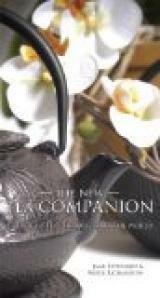 Bruce is the author of several books on tea and tea rooms including The New Tea Companion. What is the difference between specialty teas and common grocery store teas? Specialty teas are high quality hand-picked teas. They may be unblended teas from a particular region, such as Darjeeling, or from a single tea estate such as Sri Lanka's Lovers' Leap Tea Estate. Single estate teas are respected in the same manner as estate wines. The harvest season, altitude and terroir (the climate and soil) all play important roles making a fine specialty tea. Less expensive grocery teas are often a blend of lower grade teas (including dust and small pieces of tea called "fannings") from many gardens or countries. Specialty teas may be either unblended or blended. An example of a blended specialty tea is an English Breakfast blend which traditionally uses high quality China Keemun black teas. Other examples of specialty tea blends include Irish Breakfast and Russian Caravan. Specialty tea also encompasses flavored teas such as Earl Grey (tea flavored with oil of bergamot), scented teas such as jasmine, or spiced teas such as orange spice. Can good tea come in tea bags? The recent invention of pyramid and mesh bags has made room for larger leaves and better grades. But specialty loose teas will usually be more flavorful than tea bags because tea prepared loose in a teapot or infused in a mesh basket has room to expand and release the full flavor potential of the leaves. By the way, tea balls are too constrictive and do not let the tea expand. What is the difference between white, green, oolong, and black teas? All tea comes from either the Camellia sinensis or the Camellia assamica plant. The method of processing the two plucked green leaves and bud of the tea plant yields four basic teas - white, green, oolong, and black. After picking, the fresh tea leaves begin to oxidize. The manufacturing process, amount of manufacture time, and length of oxidation will determine the tea family assignment. For example, in temperate Sri Lanka, the leaves become black tea in as little as 24 hours. Herbals, tisanes, and infusions are not true "teas" because they contain no Camellia sinensis leaves. They are made from leaves, roots, bark, seeds or flowers of other plants. They lack the unique characteristics of teas and usually contain no caffeine. Premier specialty tea producing countries include China, India, Japan, Sri Lanka and Taiwan. Other countries producing notable hand-picked teas include Bolivia, Kenya, Korea, Nepal and Vietnam. What are some interesting teas to try? What is the best way to brew a cup of hot tea? How long will tea stay fresh? Most teas should be consumed with nine to twelve months from the date of purchase. Teas should be stored in an airtight container away from light, heat, moisture, and heavy aromas such as spices. How do you know that tea is good quality? The United States is fortunate to have a fast-growing number of knowledgeable tea purveyors who dedicate their lives to sourcing quality teas. Make friends with one of these tea professionals and ask for recommendations. They will always offer you quality teas that are fresh because their next sale depends upon your satisfaction. Never been much of a tea drinker? Knowing the facts about gourmet tea may be all it takes for you to switch from a fast cup of coffee to a soothing cup of tea in the afternoon. For optimal enjoyment, consider enjoying a chocolate truffle with your personally brewed cup of tea.